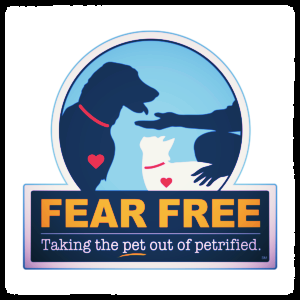 Our Veterinarian is Fear Free Certified to allow for less stressful visits for our pets and their owners. Urban Veterinary Associates is a full service animal hospital in Chicago's western suburb, Westmont, IL. Dr. Torok offers routine wellness and preventive care for dogs, cats, small mammals, turtles, tortoises, reptiles and birds, in addition to having additional post-doctoral training for Orthopedic Surgery, Internal Medicine and diagnostic Ultrasound. The newly built veterinary hospital houses modern diagnostic equipment for immediate results for tests such as complete blood counts, blood chemistry, urinalysis and X-ray. Dr. Torok has been a practicing veterinarian for over 10 years and is very happy to be welcomed by and servicing Westmont and the surrounding communities including: Clarendon Hills, Western Springs, Lombard, Hinsdale, Darien, Burr Ridge, Downers Grove, Willowbrook, Oak Brook, Lisle and Woodridge. At Urban Vet, we are very focused on working with clients to make their pet's visit to the veterinarian as easy as possible for the owner and the pet. This is why Dr. Torok obtained certification as a "fear-free" practioner, which helps us to host a variety of animals in our veterinary hospital and cater to their individual temperaments minimizing fear, anxiety, and stress for everyone. If you are focused on a holistic approach to medicine, Dr. Torok can help you to navigate those things that are essential for your individual pet and avoid any unnecessary vaccination or medications. The best option for most people is to consider vaccine titres to test your pet's current immune status and see whether or not vaccines are needed. This can be done for several different vaccinations, with the exception of Rabies. Urban Vet strives to practice the best quality medicine possible. As such, Dr. Torok has earned full accreditation with the AAHA (American Animal Hospital Association) to show that we have gone above and beyond the expected levels of expertise, medical offerings and continued education. We are the ONLY AAHA Accredited hospital in Westmont!